Learning how to mount an Fsurf Fuselage with the right bolts is pretty important. If you use the wrong screws, your foil could come loose. Losing a foil to the bottom is no fun. To eliminate any confusion and ensure that your foil is set up right, let’s go through a couple basic concepts. 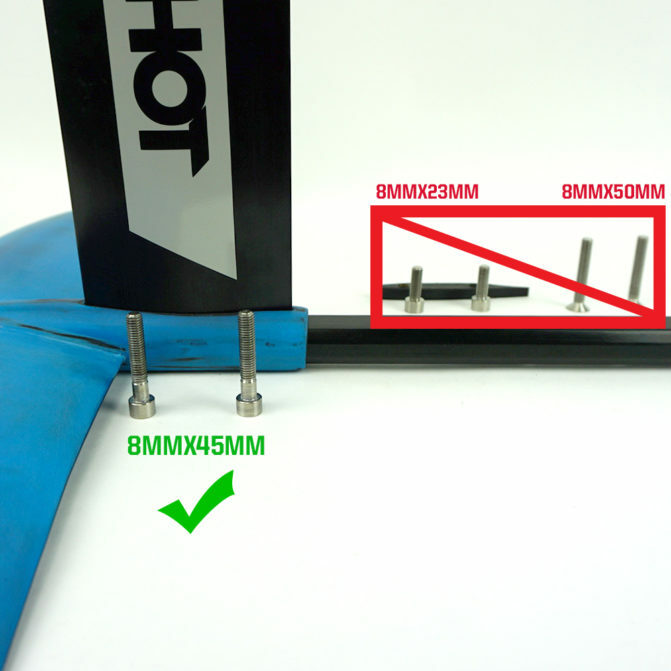 Your foil will come with three different styles of bolts that will be used to mount your mast to the fuselage. 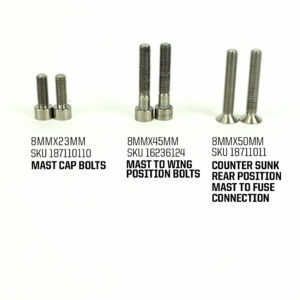 Where you place your mast will help determine which bolts you need. 1. 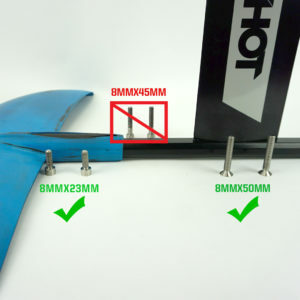 First-timer Surfers, Wakesurfers, and Sup foilers start with the mast forward using the wing slot (see image below). This means you only need to use the 45mm size bolts. The countersunk and short bolts sit on the sideline for now, but hold onto those bolts for later! You will use them if you ever want to set the mast back. 2. More advanced foilers may want to move the mast into the back position (see image below). (Learn more at www.foil-academy.com) In this case, you should set your longer bolts aside, and use the 50mm countersunk bolts for the mast mounting. You will also want to install your mast cap, which fills the hole on the wing. Use the short 23mm screws to do so. is easy, and doing it right means you can enjoy it for years to come. Learn all the tips and tricks here.